Although a science fiction story is just as capable of having all the usual furniture of a novel - character building, human reactions, locations and environment and so on - there is the added depth science fiction gains by being a genre of ideas. Some of the early greats of science fiction - Asimov, for example - managed the ideas and the 'What if?' far more eloquently than they did the traditional elements of fiction writing, presenting us with cardboard characters. 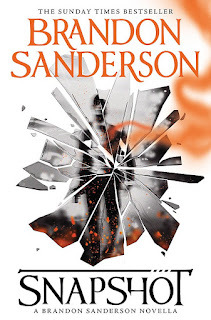 Although Snapshot is nowhere near as bad as the old brigade in this respect, there is no doubt that Brandon Sanderson scores significantly more on the 'What if?' aspect. This is very much an idea-driven novella. It's a dramatic idea at that. What if it were possible to recreate a day in a city with all its inhabitants, going through exactly what happened on the day? It would enable, for instance, police officers to go in and attempt to solve a crime, able to revisit the scene and interact with those involved. But Sanderson piles on the implications by making this not a virtual reality recreation, but a meatware one. By means we'll come back to, the whole physical reality of the city is recreated, then destroyed again at the end of the day. And to make the whole thing more laden with ethical dilemmas, the police officers carry a badge that makes inhabitants of the recreated city aware that they are copies who have less than a day to live. 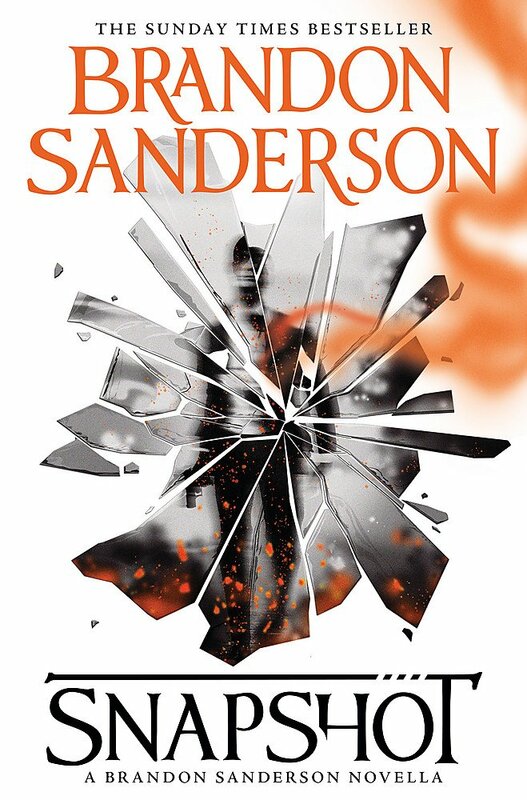 Although some aspects of the story are a little predictable (Sanderson, in his afterword, actually says that he assumed that readers would guess one major twist), others still manage to surprise. It's a nicely constructed story within that jaw-dropping concept of a physical recreation of the city. There are, I suppose, two issues to be addressed. One is that, as mentioned above, this is a novella, not a full length novel. I've a lot of time for the novella format, and they work well as ebooks, but I would usually expect it to be accompanied in physical form by a good bunch of short stories. Here it's left to fend for itself, and it's possible that a book that can be read on a shortish train journey is one that feels a little skimpy for the price. The other issue is one that, again, Sanderson brings up in his postscript. The mechanism here is pure magic (though given a vague science-like wrapper with hints of an alien involvement). It has to be magic when you think about it. It's physically impossible to recreate anything at a quantum level other than making a copy and destroying the original. The practicalities are endlessly impossible (how to capture all the information, how to store it, how to manufacture the objects and people, what happens at the boundaries etc. etc.). So it requires a little more suspension of disbelief than most SF. I was also slightly surprised that Sanderson didn't refer to one of my favourite movies, Inception, when talking about the inspiration for the story - it's hard to read this and to believe that he's never seen Inception. Overall, though, a truly interesting novella, which, though hardly creating deep characters, at least has some magnificent ideas to play with.